Scott brings his innovative approach to environmental, energy, and blockchain matters for companies, investment funds, and startups. He has extensive experience in environmental and energy matters and has recently represented clients in blockchain, smart contracts, cryptocurrency and cryptocurrency mining. Scott is based in Dallas and works on matters and for clients in the Texas area as well as the greater United States, and other parts of the world. Want to dig deeper into Scott’s extensive experience and his work in environmental, energy, and blockchain? Read more on the blog here. Since S. Deatherage Law’s founding in 2016, Scott has brought his innovative approach as an environmental attorney to the intersection of blockchain, environmental and energy matters. He has recently represented clients in blockchain, smart contracts, cryptocurrency and cryptocurrency mining. 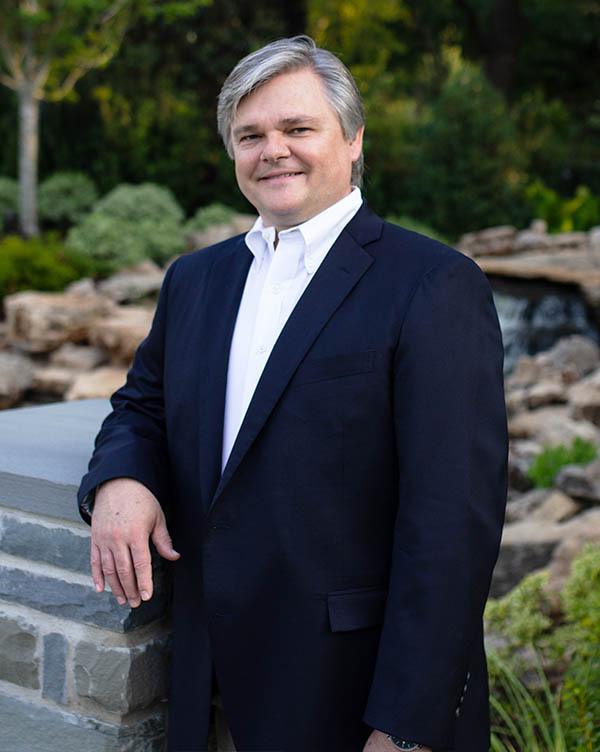 Scott Deatherage is one of Texas’ leading environmental and energy lawyers with over 30 years of experience in achieving successful outcomes for his clients. 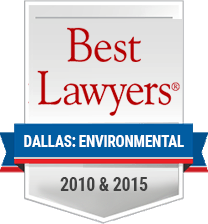 Peers, colleagues, and clients have repeatedly selected Scott for various honors including D Magazine’s “Best Environmental Attorney in Dallas”, SuperLawyers, and Best Lawyers. Scott represents clients in environmental matters such as air emissions permits, wastewater, solid and hazardous waste, groundwater contamination, and restoration and reuse of contaminated properties. He is a leading attorney in the climate change and carbon trading space. Scott represents renewable, natural gas, and distributed energy project developers, energy storage project developers, landowners, and private equity companies on a wide range of regulatory and transactional issues. He has assisted in negotiating ground leases, power purchase agreements, EPC agreements, interconnection agreements, as well as property tax exemptions and abatement. Scott also has represented lenders in relation to the financing of renewable energy projects. His legal practice extends to energy matters involving wind, solar, anaerobic digestion, biomass, waste-to-energy, and natural gas projects. The rapid growth of blockchain technology is disrupting many businesses and industries. Scott has advised various companies in the space and is focusing time on learning the intricacies of blockchain, smart contracts, cryptocurrency, and cryptocurrency. From working with the North Texas Blockchain Alliance to investing in cryptocurrency and cryptocurrency mining, Scott is both advisor and entrepreneur when it comes to blockchain. His legal work has extended to contracts for blockchain consultants, setting up new blockchain companies, advising cryptocurrency mining companies and drafting mining hosting contracts and profit-sharing agreements between miner owners and hosting companies, to energy and environmental blockchain companies, and those applying blockchain and smart contract technology to renewable energy, microgrids, carbon credits and renewable energy certificates. 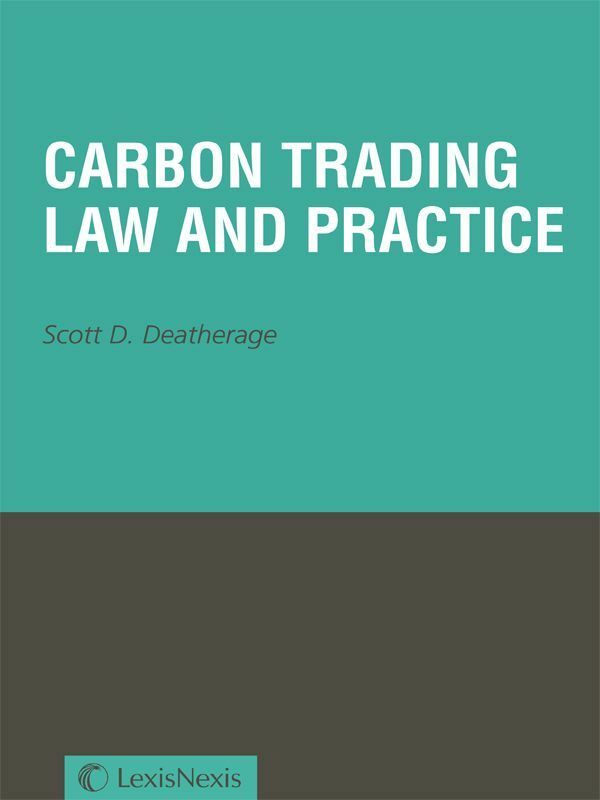 In Carbon Trading Law and Practice, author Scott D. Deatherage provides practitioners with a comprehensive practical guide to the US and international practice of carbon emissions trading. The book includes a comprehensive examination of state, federal, and international climate change and greenhouse gas laws and regulations, emissions trading, international and EU law, other reduction programs, carbon credit projects and financing, climate change disclosure, and the US regulatory regime for greenhouse gas regulation and emissions trading.